Since we came round Malin Head five days ago we seem to have battled against headwinds. I’m sure all us paddlers (and cyclists for that matter) on expedition complain about the winds being against them. And I’m sure we only remember those days slogging it out against the wind rather than those where the sun warmed our backs and the winds have us a gentle push on our way. But we do seem to have had more than our fair share. But hey, no complaints – everyday is an adventure and a physical and psychological roller coaster. If one of us is feeling low or slow, the other will try and perk them up. We’ve found that food and singing usually do the trick. Distracting each other from the thought of cranking out 30 or so miles a day has become a distinct skill of ours. As for the singing – not sure we will be repeating performances on terra firma, but our repertoire is developing into an eclectic mix – The Auld Triangle, South Australia, Wish You Were Here, Cecilia, Bridge Over Troubled Waters, Blue Ridge Mountains of Virginia…..if you happen to find yourself on a headland along the Irish East coast over the next few days, and the wind is blowing in the right direction, you might just catch us murdering a great song. 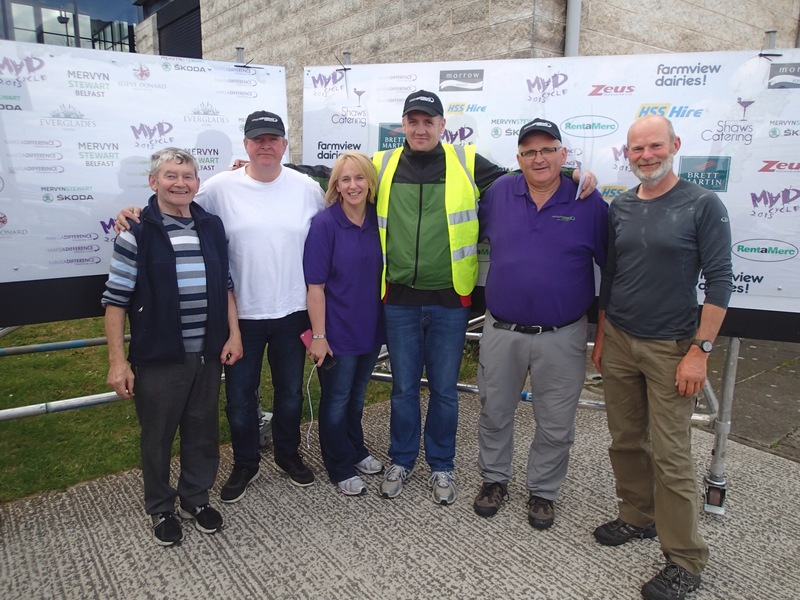 On the way to Whitehead on Saturday we came across a charity cycle event in Larne. It was in aid of http://www.makeadifferenceworldwide.com – who are currently helping disadvantaged people in Malawi. Looked like a great event despite the strong headwinds (we have something in common with cyclists). The organisers saw us land and straight away invited over, gave us soup and food and made us feel very welcome. 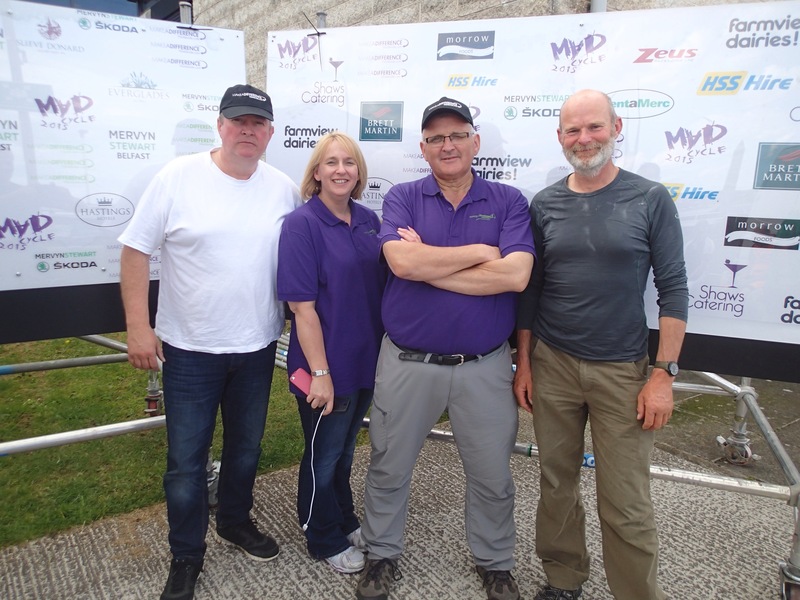 Thanks so much guys and best of luck with the fund raising! 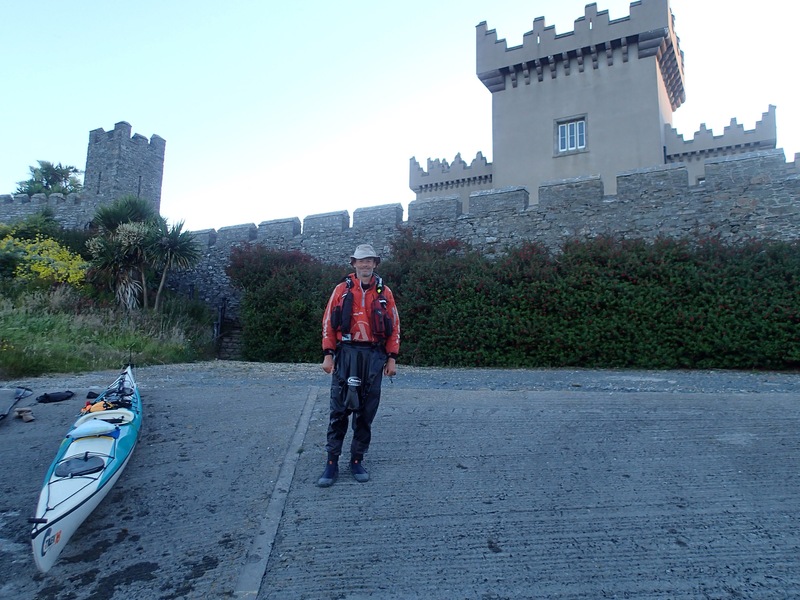 Last night we reached the south end of the Ards Peninsula and got a sneaky camp in the grounds of the Quintin Castle – an old Norman building – now updated and renovated complete with its own slipway and heli pad. Not a bad place to kip for the night. This morning we made only 11 miles before the winds picked up to F7 and gusting F8. When Geoff got surfed over some rocks we decided it was time to get off. 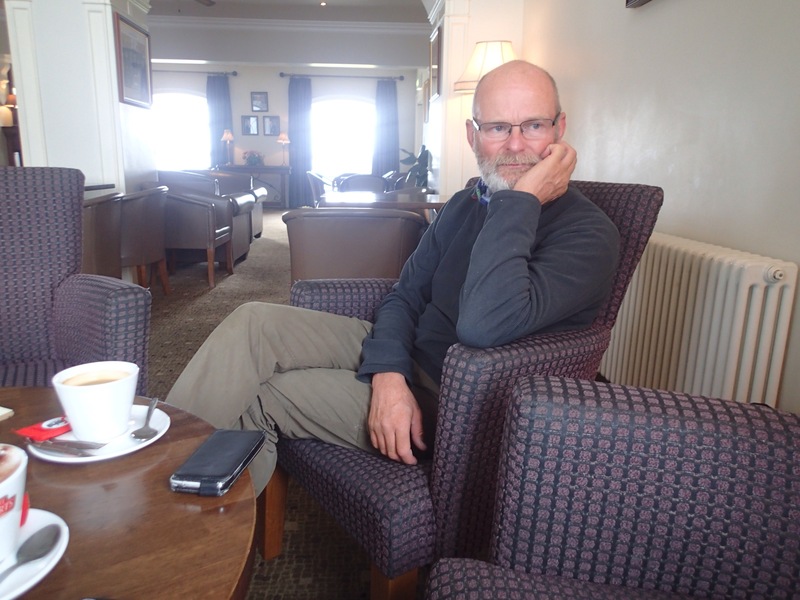 So now we are in the club house at Ardglass golf club, drinking tea and eating cake whilst looking out at a wild sea. Right now we have covered 790 miles and have about 160 to go. Thank you to Chris, Janet and Morgan for your very generous donations! Around £1200 raised now – amazing stuff!